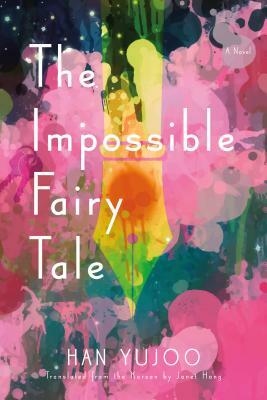 The Impossible Fairy Tale is the story of two unexceptional grade-school girls. Mia is “lucky”—she is spoiled by her mother and, as she explains, her two fathers. She gloats over her exotic imported color pencils and won’t be denied a coveted sweater. Then there is the Child who, by contrast, is neither lucky nor unlucky. She makes so little impression that she seems not even to merit a name. At school, their fellow students, whether lucky or luckless or unlucky, seem consumed by an almost murderous rage. Adults are nearly invisible, and the society the children create on their own is marked by cruelty and soul-crushing hierarchies. Then, one day, the Child sneaks into the classroom after hours and adds ominous sentences to her classmates’ notebooks. This sinister but initially inconsequential act unlocks a series of events that end in horrible violence. But that is not the end of this eerie, unpredictable novel. A teacher, who is also this book’s author, wakes from an intense dream. When she arrives at her next class, she recognizes a student: the Child, who knows about the events of the novel’s first half, which took place years earlier. Han Yujoo’s The Impossible Fairy Tale is a fresh and terrifying exploration of the ethics of art making and of the stinging consequences of neglect. Han Yujoo was born in Seoul in 1982. She is a translator of Michael Ondaatje and Geoff Dyer, among others, and teaches at the Seoul Institute of the Arts and Korea University’s department of creative writing. The Impossible Fairy Tale is her first novel.